unity, friendship and empowerment to learn the beauty of our heritage. The group is currently learning some of the fundamental topics in interpersonal relationships. The group is led by Rebbetzin Fraidy Mandel of the Thornhill Woods Shul, we currently have close to 17 pairs of partners from different backgrounds learning together the beauty of our heritage. 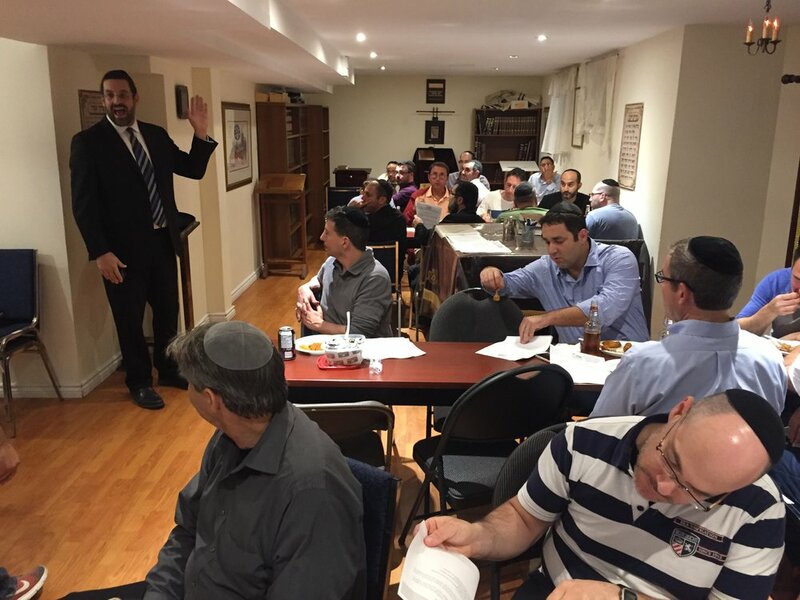 Led by Rabbi Elisha Mandel, this group of nearly 25 pairs gathers with the full energy and liveliness emblematic of this kind of 'chavrusa' or partner learning. Lots of food, lots of drinks and lots of energy is what this group is all about. Great group of guys, Fun times, Good Food and some intellectual gymnastics makes for a great Tuesday night.